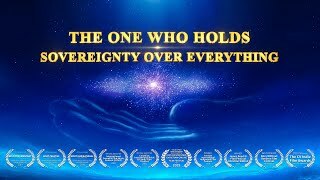 Testify to the Creator's Authority | Chinese Chorus "God’s Own Identity and Position"
1. God is the One who rules over all things, God is the One who governs all things. He created everything and governs everything, He also rules over and supplies everything. This is God’s position, and this is God’s identity. To everything and all things, God’s true identity is the Creator, and also the Ruler of all things. God has such an identity, which is unique among all things. No created being, among mankind or in the spiritual realm, can assume or replace God’s identity or God’s position in any way or on any pretext. This is because there is only One among all things who has such identity, such power, and such authority, and who can rule over all things. He is our unique God Himself, He is our unique God Himself. 2. He lives among all things and walks among all things. He can also ascend to the highest and above all things. He can humble Himself and become a man, becoming a member of men who have blood and flesh, who have blood and flesh, be face to face with men, and share joys and sufferings with men. At the same time, He governs everything, decides the destiny of everything, and decides the direction for everything to go forward. Furthermore, He guides the destiny of all mankind and guides the direction for all mankind to go forward. Anyone who has life should worship, obey, and know such a God. Therefore, no matter which part you are of among mankind, and no matter what kind of person you are among mankind, to believe in God, follow God, fear God, accept God’s sovereignty, accept God’s sovereignty, and accept God’s arrangement for your destiny, this is the only choice and obligatory choice, the only choice and obligatory choice for anyone, anyone who has life. How Great Is God's Love | Contemporary Music "Gospel Choir 6th Performance"
Praise the Lord of Lords | Choir Song | Music Concert "Gospel Choir 7th Performance"